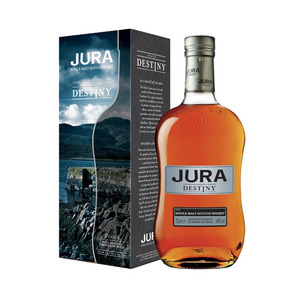 A pointedly peaty expression from Jura - Destiny shows off that good smoky whisky doesn't only come from Islay! 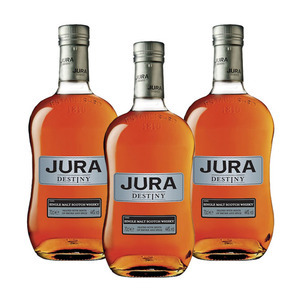 Not simply a one-tricky-pony, it manages to blend its peaty elements with hints of sherried sweetness and exotic spice notes that Jura has become well-known for. It might seem that the revival of Jura both as a distillery and an island community was always destined to happen, but the islanders believe in making their own luck, and their fortune was rewarded through the recreation of an exceptional Single Malt Whisky. 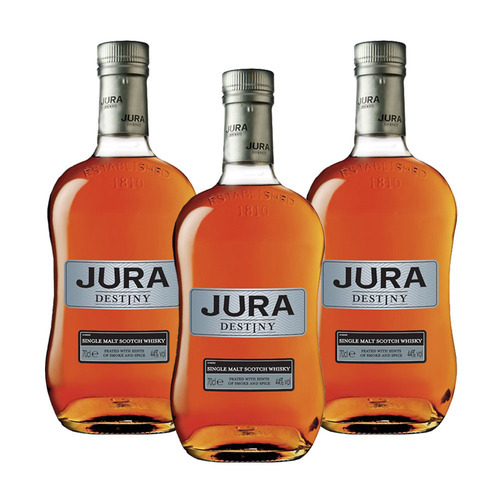 Destiny marks the revival of Jura through the endeavour they've put in. Destiny is matured in first fill ex-Bourbon casks imported especially from Kentucky in the United States. 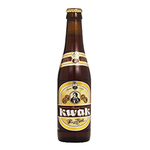 It is then married in Sherry casks for the final months for a rich, spicy finish.